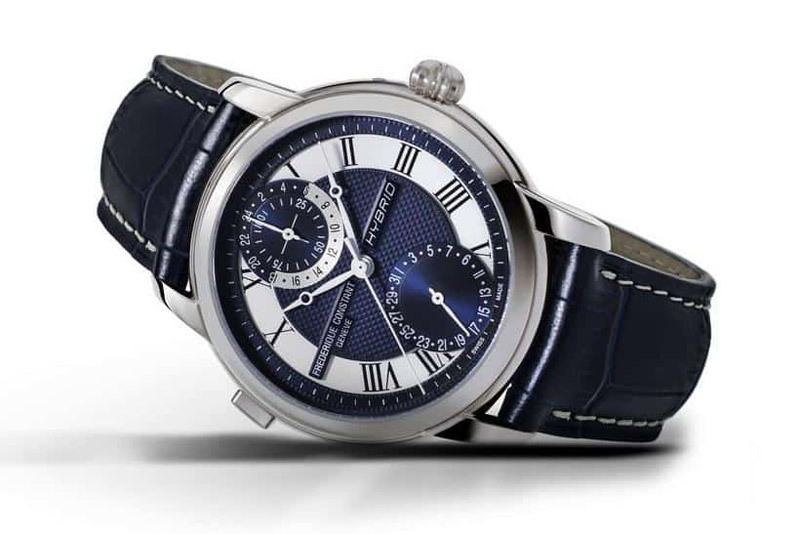 Every year, Frederique Constant continues to add movements to its in-house collection; and this year is no exception. 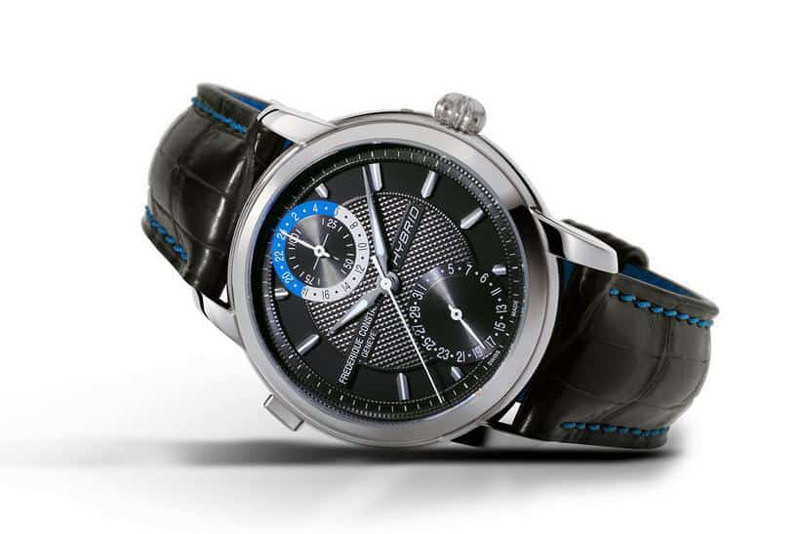 This year’s revelation is the Hybrid Manufacture watch – dubbed as the world’s first 3.0 watch. 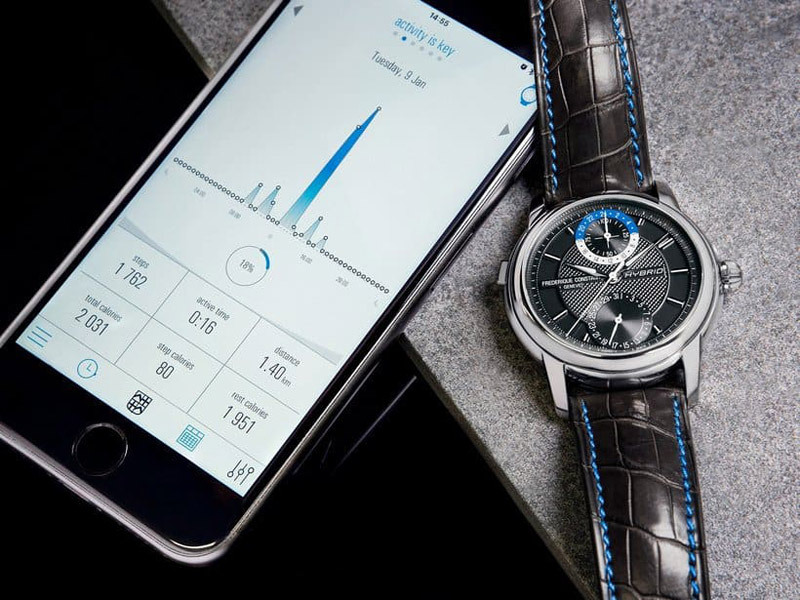 Designed in keeping with classical watchmaking principles, updated with innovative 21st century techniques, the new Hybrid Manufacture by Frederique Constant combines Swiss Made fine Mechanical watchmaking with Smartwatch functionality. The 42mm case contains a dial that looks like many of the brand’s other current models that are entirely mechanical. There are no digital screens on the otherwise analog dial, and other than the “Hybrid” text on the dial, nothing seems to be “techie” about the watch’s visual presentation. 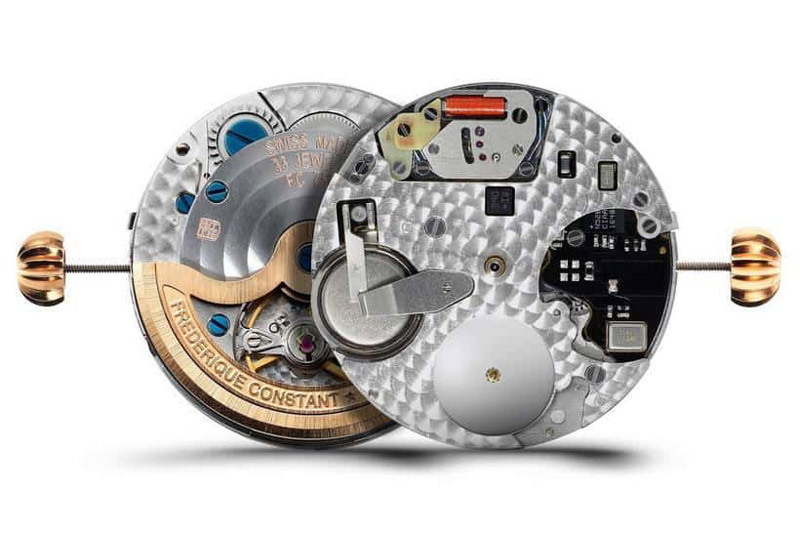 Look inside the watch to the new in-house made FC-750 Manufacture Hybrid caliber, automatic with date adjustable by crown and connected counter adjustable by pusher Perlage & Circular Côtes de Genève decoration on the movement. The mechanical functions of the watch are relatively simple – you have time and date displays in a pretty standard layout. 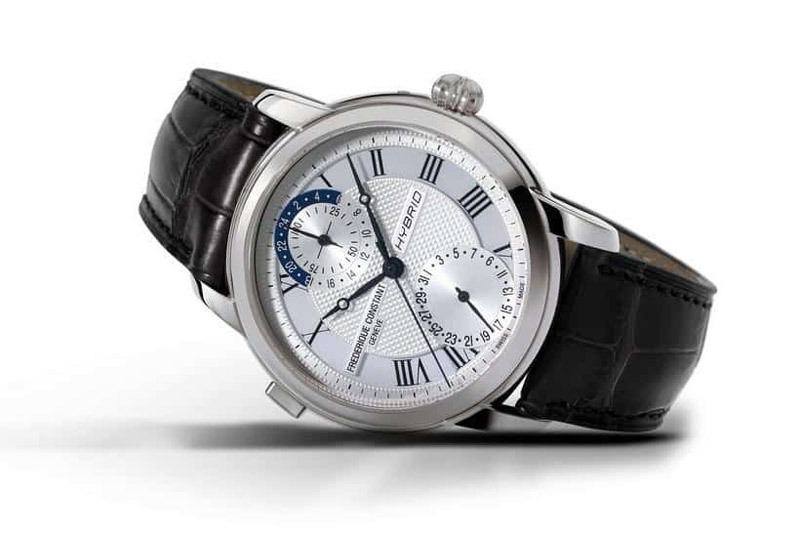 The mechanical part is straightforward with a 4Hz (28,800bph) operation and 42 hours of power reserve. The electronic part of calibre FC-750, powered by a rechargeable battery, offers the wearer activity tracking, sleep monitoring, a world timer and a diagnostic tool to check the vital statistics of your wristwatch. These are all controlled and accessed via a dedicated iPhone app. The smart system has a claimed battery life of “more than” seven days. 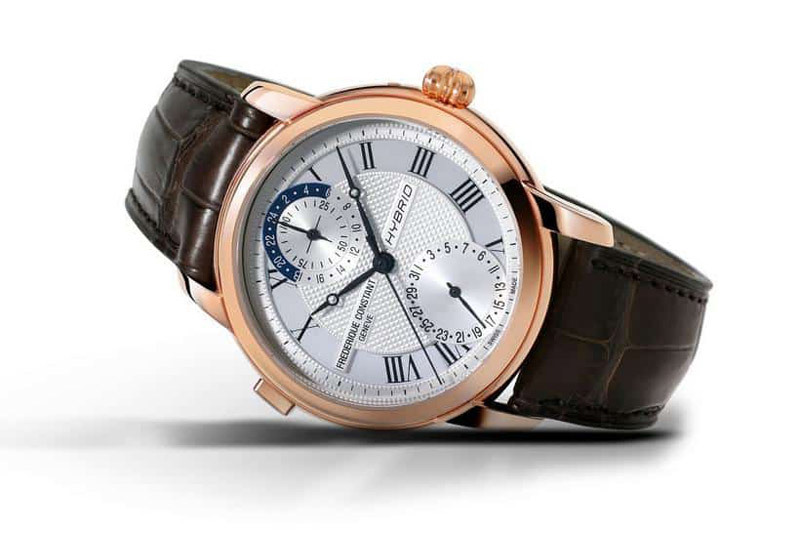 Frederique Constant is releasing four versions of the Hybrid Manufacture (references FC-750MC4H6, FC-750MC4H4, FC-750MCN4H6, and FC-750DG4H6), one of which is a limited edition of 888 pieces. Prices range from $3,495 to $3,795 depending on which case and dial combination you’re interested in.